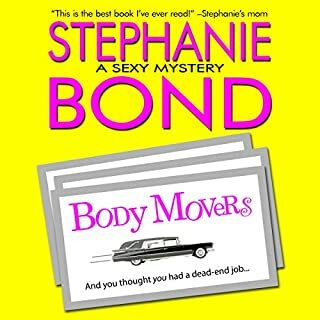 The long awaited continuation of the Body Movers series! 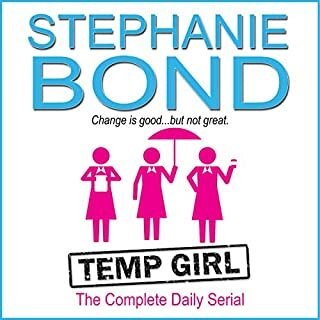 ©2015 Stephanie Bond, Inc. (P)2015 Stephanie Bond, Inc.
What is with the reader being changed. The original books had a women with a southern accent who was awesome. This reader was bad the male voices were nasally. Would I buy it again no. What a disappointment. Book #6 was very exciting, ending with a surprise; then there was a long wait for #7. The possibilities were endless...so why did this book feel like a "placeholder" for the real thing? First of all, there was a lot of backstory. If you haven't read #1-6, start there. Anyone who hasn't read #1-6 won't "get" all of the dynamics, so why bore your loyal fans with what they already know? Second, most of things that did happen in this book were entirely predictable. (I won't spoil this for other readers, but I'm betting many will feel the same.) Finally, the underlying mystery wasn't very interesting or personal and the mystery that I DID want to delve into was barely examined until the very end, pretty much leaving me in the same place I was at the end of Book #6. I'll also add that I roll my eyes every time Peter Ashford comes into the scene. LOL. This is my last book in the series. Carlotta and Wesley continue to make the same mistakes over and over again. I'm through. 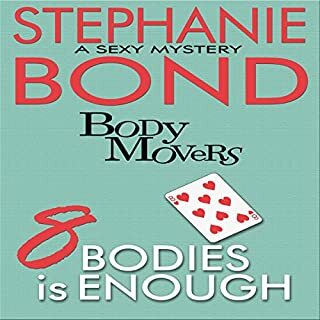 I have been following the Body Movers series since it started, and I have loved each one, so when 7 Brides for Bodies came out, I was so excited. That excitement soon turned to frustration and disappointment, however, once I started listening. I absolutely LOVED Cassandra Campbell's narration. I feel like she did such a good job as Carlotta, I could really picture her in my mind. I understand that change takes some getting used to, but Maureen Jones really did a horrible job. I could get over not having the same Carlotta "voice," but I feel like she really missed the mark on it all. I don't feel like she got any of the inflections, her voices for the other characters, especially Peter were equally horrible, but the absolute worse thing for me was her constant mispronunciation of words. Who mispronounces "garage?" 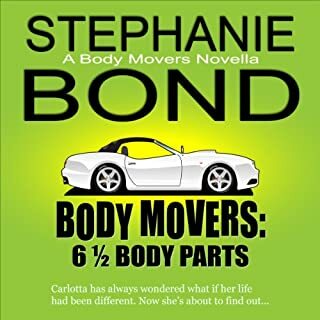 I understand that different people have different accents, and part of Cassandra Campbell's charm as Carlotta was the slight southern accent, which worked really well since this takes place in Atlanta. Maureen Jones did not sound like a believable Carlotta, or any other character for that matter. 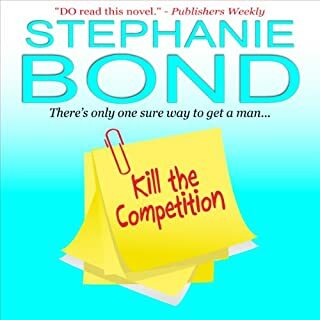 Please try to bring back Cassandra Campbell for the next book, or I will just have to read the print version because I don't think I can really take listening to Maureen Jones butcher anymore words or characters! Everything! She can't pronounce basic words and her portrayal of the characters is unbelievable and forced. 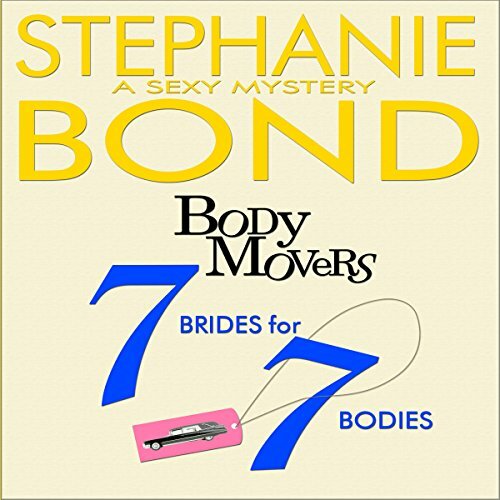 Do you think 7 Brides for 7 Bodies needs a follow-up book? Why or why not? Yes, because I really enjoy the series, and would for it to continue. Please bring back the previous narrator, Cassandra Campbell! 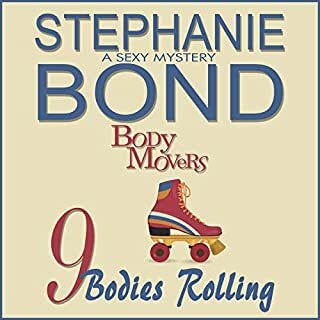 I have happily listened to this series however the narrators voices do not match the characters additionally her accents are less than southern. It is almost unbearable. Terrible reader. But good story, with fun and addictive characters. start at 1 and go all the way through. I love this series! The narrator has a nice voice but does not do other characters voices well. I found that off-putting. The story is set in Georgia and you would never guess that my the pronouncing of the words or by the accents used. Who is the narrator, she's horrible!! I loved the other books and I enjoy the series but this narrator is so bad! She miss pronounces words, does very strange voices for the characters and is just awful. I wanted to continue with the series because I've listen to the other six but it was painful and strange to listen to this one. ....for the next one, can't believe this is it, so good, your doing an amazing job and the narrator is perfect, actually one of the main reasons I gave the first book a try, keep it up.